The 3M Impact Protection Attachment System is a combination of 3M Ultra Safety and Security Window Film and 3M Impact Protection Adhesive.  3M's Impact Protection Attachment System improves the overall performance of 3M Safety and Security Window Films. This unique window protection system combines the toughness of 3M’s patented micro-layer safety film with 3M’s world-class expertise in adhesives, to help shield against impact energy from severe weather, bomb blasts or forced entry events. The 3M Impact Protection Attachment System also helps protect against personal injury from flying glass. By using 3M's Impact Protection Attachment System to secure Ultra Safety and Security Window Films to the window frame, a much stronger window system is created. And because both components in these systems come from 3M, you’re not only assured of the highest quality, but you also have a single company standing behind your warranty. It’s a company known worldwide for innovation and integrity. 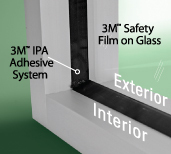 While attaching film and glass to a window frame with adhesive has been a common technique for years, 3M Impact Protection Adhesive achieves a new standard of performance. 3M is a leader in adhesive technology and is one of the few window film companies to make its own adhesives. 3M Impact Protection Adhesive is a unique adhesive applied around the frame to bond the glass, window film and frame together. It significantly improves protection against severe weather damage, bomb blasts or would-be intruders. Designed for use with 3M Ultra Safety and Security Window Films, it gives commercial building owners and homeowners more options when considering their desired level of protection. While other adhesives can take up to three weeks before they fully cure, 3M Impact Protection Adhesive can fully cure in less than seven days. 3M's adhesive has greater tear strength and elongation and tensile strength than commonly used attachment adhesives. 3M Impact Protection Adhesive is available in both a black or white.